The engine details are as accurate as possible, however there was not a plate which clearly revealed which model of Lister-Petter the engine is which is not unusual regarding these engines. This barge is flat bottomed. The owner has informed me that the bottom has been replated with 10mm steel plates. The hull was then filled with 10" of concrete ballast. She has been modified by making the front plate lift out so the dredger/machinery can be driven straight onto the vessel. There are 6 special anchor points too that help the barge remain still when the dredging is taking place. There will soon be a hull survey made available too. The cargo area measures approx. 26' x 7'. This flat bottomed barge is being used as a work vessel. The owner has modified the plates at the bow so they will flatten down to allow the dredging equipment to be driven on board. The side of the barge has been equipped with an innovative anchor system consisting of 6 points that will hold scaffold poles. When you get to the area that you want to stop, the 6 poles are lowered and this prevents the barge from swaying. The owner has informed me that the barge has had 10mm plating added to the bottom and that a recent survey will shortly be made available. If this vessel is of interest then the current owner will be happy to show everything working to a serious prospective buyer. 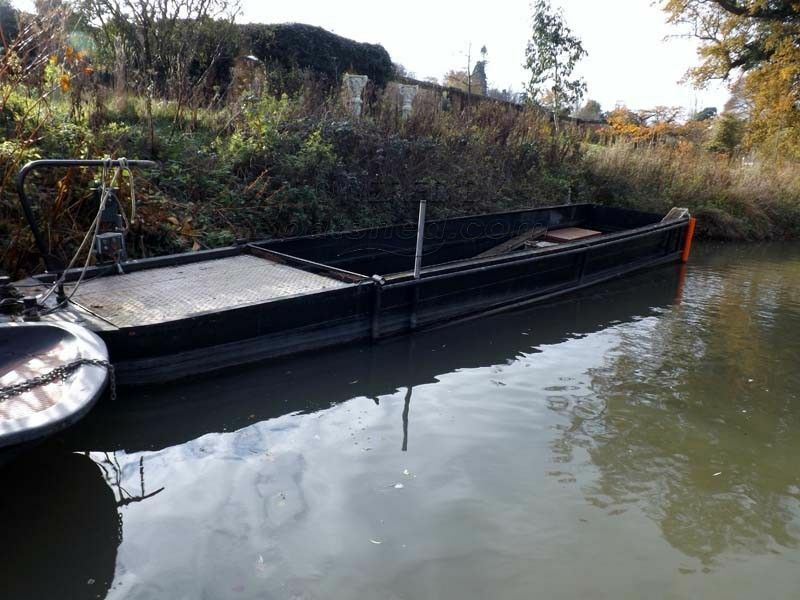 This Steel Work Boat Flat Bottomed Dredging Barge has been personally photographed and viewed by Suzzanne McDonald of Boatshed Kent. Click here for contact details.